Summary Love the sound of fuzz pedals, but hate the way they can disappear in the mix? Or maybe you’re a fan of fuzz tones, but can’t bond with them in your own rig. 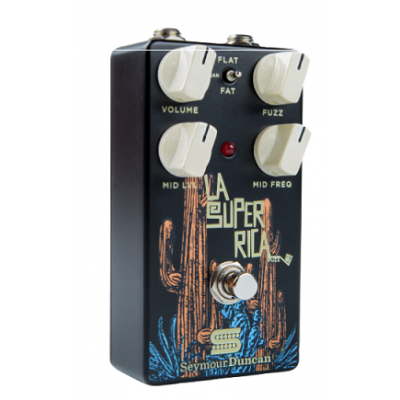 La Super Rica combines a classic Fuzz circuit with powerful tone shaping controls allowing you to dial in exactly the tone you need, from bright and cutting to smooth, musical saturation. Description La Super Rica is a highly adjustable, silicon-based fuzz pedal for players who love classic fuzz tones, but need enough versatility to sculpt their own tone. While many fuzz pedals can get lost in the mix or only work well with single coils or particular amps, La Super Rica’s tone shaping controls allow you to tailor your fuzz tones so they sound just as good no matter what you are playing. In addition to fuzz, there’s a semi-parametric EQ for controlling the midrange, and a three-position voicing switch for sculpting the low-end. Key Features • Classic Silicon Fuzz Sounds. • Semi-Parametric (sweepable) mid-range Control. 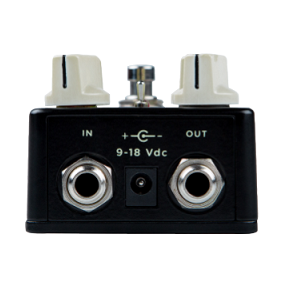 • Voicing switch for different applications/tones. • Low noise, true bypass. • Runs on standard 9v battery or power supplies.